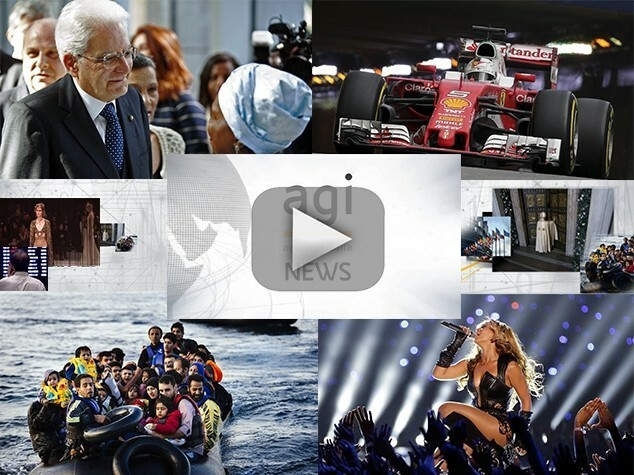 (AGI) Rome, Apr. 5 - Forget about the Caspian Sea. Forget about cans full of Russian or Iranian caviar, 'smuggled' by friends and relatives who expose one of the most delicate food products to excessive temperature fluctuations. Nowadays, most of the world's caviar comes from Italy. From Brescia, to be precise. Italy has been the largest exporter of caviar for years. 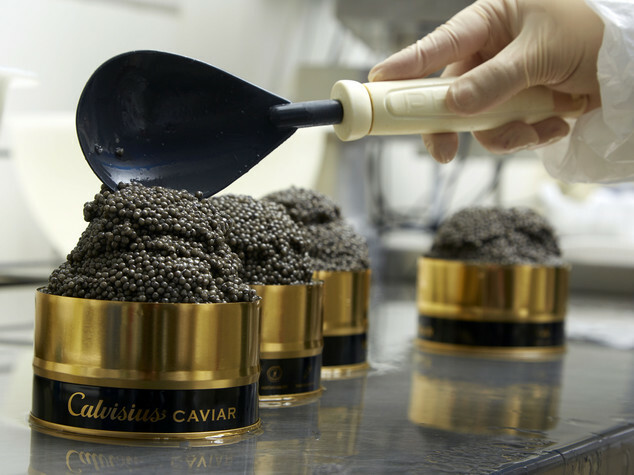 Though no traditional caviar producer, Italy has managed to achieve excellence in the sector. "Actually, the sturgeon belongs more to Italy's culinary history than most people realise," Lelio Mondella, director of Agroittica Lombarda, the company that owns the Calvisius brand of caviar, told AGI. "So much so that it lived in the rivers Adda, Ticino and Po. Sturgeon can be found in Italian recipes that date back to the Renaissance." Agroittica has two fish farms and posted a turnover in 2015 of 25 million euros, an eight percent increase over 2014. Its Christmas sales increased by as much as 30 percent. The company produces 25 tonnes of caviar per year. Most of this, 90 percent, is exported, even to caviar producing countries like Russia. Twenty percent of the caviar consumed worldwide is produced in Italy. "We export most to Russia, Germany, the U.S. (where we had a 35 percent growth), China and Hong Kong, Singapore, Thailand, Britain, France and the Scandinavian countries," Mondella continued. Agroittica and Calvisius have become export giants in the last ten years. A few weeks ago, the company joined Altagamma, a foundation that promotes luxury Italian export products. "The original idea was to use the meat, a healthy and highly valued product. The idea of using the eggs, one could almost say 'golden eggs', came later. But sales of sturgeon meat kept rising as well, as people got to appreciate its nutritional properties: white, lean and without bones. Not surprisingly, sturgeon in oil is among the possible new products for 2016." Export remains Agroittica's main goal. The company has launched new projects in China, South America and Southeast Asia, as well as expanding its business throughout Europe. Keeping the sector environmentally sustainable is crucial, Mondella explained. "Already in the 70s, the historical partners - the Ravagnan family, whose Gino was a professor in aquaculture, and steel mill owner Tolettini - were visionaries: they didn't want to waste the hot runoff water from the mills but rather to use it to farm fish. They started with eels, but that failed. Then, a chance meeting would change all our lives." Nobody had yet bred sturgeons and trying it outside their normal river or marine environment, in the Po valley, using the energy produced by an industrial process, seemed madness. Ravagnan in California met Serge Doroshov, a Russian exile who taught aquaculture at the University of Davis. He was studying the possibility of farming white sturgeon in California, but had to deal with the shortage of water. He convinced his Italian counterpart that the pure springs of Calvisano were ideal for the project. Sturgeon populations had started to decline in their natural environment and the Italians decided to invest in a species that only farming could preserve, combining scientific and business value. The specimens that were taken to Brescia not only survived, but thrived. In 2007, Russia and Iran were caught off guard by the Washington Convention, which banned sturgeon fishing in the wild. "In the '90s and in 2000 we helped regulate a market of unregulated imports," Mondella pointed out. "Today we have a 12 to 13 percent production share and we can influence market regulations. The first results that we obtained were to have trade in all species of sturgeons regulated under CITES (the Convention on International Trade in Endangered Species of Wild Fauna and Flora) and to push for higher quality. Caviar is like milk: no one can carry around a jug of fresh milk from one country to another by car. Still, this is what once happened with caviar, a fresh product that requires temperatures between four and six degrees." Calvisius aims to popularise caviar by keeping the same quality while selling the product in smaller amounts. Three packs of 10 grammes are available at 77 euros. But one can also order two packs of 30 grammes of beluga for 487 euros. Nowadays there are three 'historical' farms in the world: in France, Italy and California. "The fact that people associate Italy with luxury works in our favour, but we have to fight against a hundred years of Russian and Iranian history," Mondella added. "It seems that China is gearing up to undermine Italy's position and therefore we are trying to diversify the product. Apart from sturgeon meat, we are looking into the possibility of marketing the fish's cartilage, skin and oil for use in cosmetics and regenerative medicine. We're trying to build a second era, which is that of Italian caviar." (AGI) . .